Just store in pocket or as for ladies just slip in bra. Our infrastructure, skills and resources are at par with the best in the world. Shri Har Enterprises is the leading provider of Unique Natural Healthcare Drops, Exotic Juices, Weight Management Products, 100% Organic Products, Organic Agricultural Products, Unique Wellness Products, 100% Ayurvedic Products, Anti Radiation Range of products, Biomagnetic products.We visualize a holistic wellness of the mind and body and the enhancement of the quantitative and qualitative capabilities of human activities, both physical and mental. 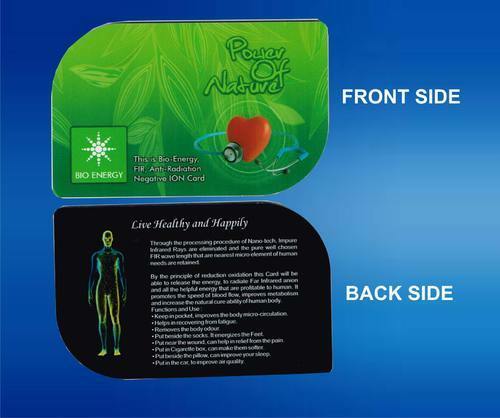 The Mission of the organization is the carrying out of all necessary research and development activities, to achieve the above vision of universal wellness. Our company’s mission is to contribute to healthy and better lifestyle through enhancing customer satisfaction and to improve the quality of health & serve the mankind by using the most innovative & quality oriented standardized systems in bringing the highest quality products for meeting our commitment.